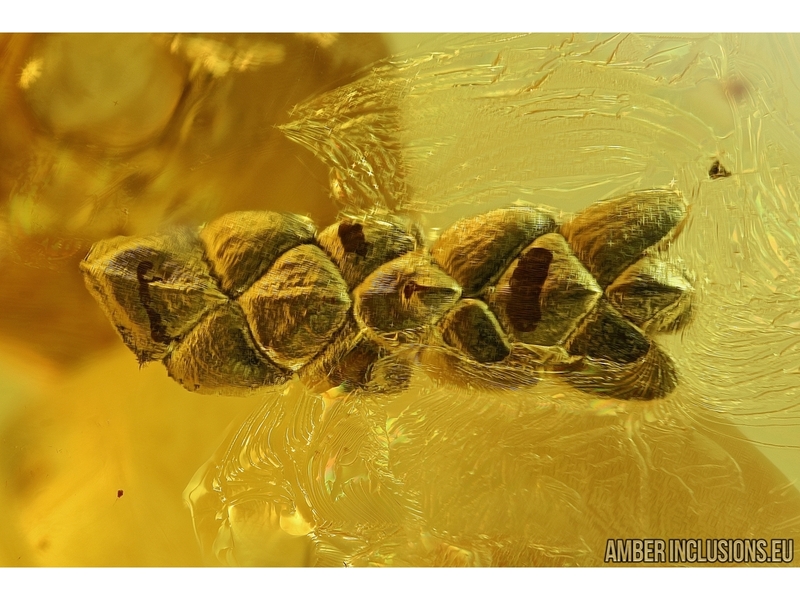 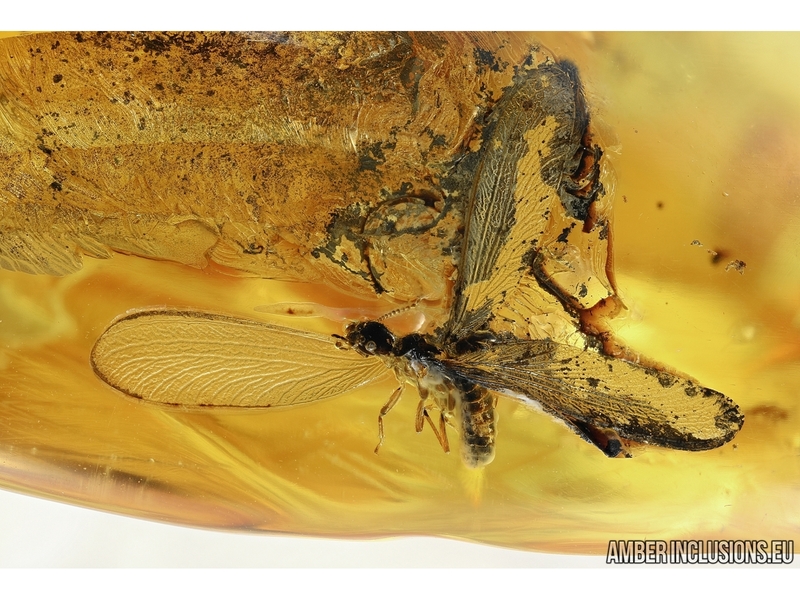 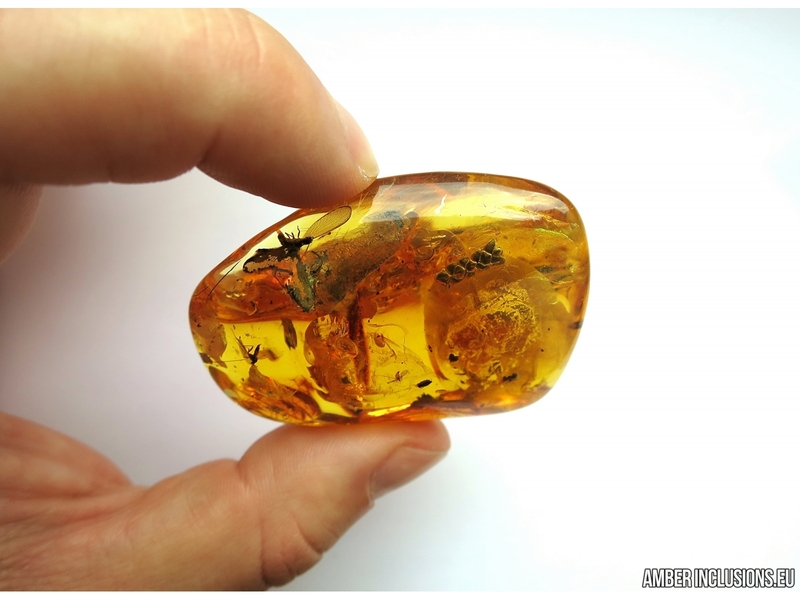 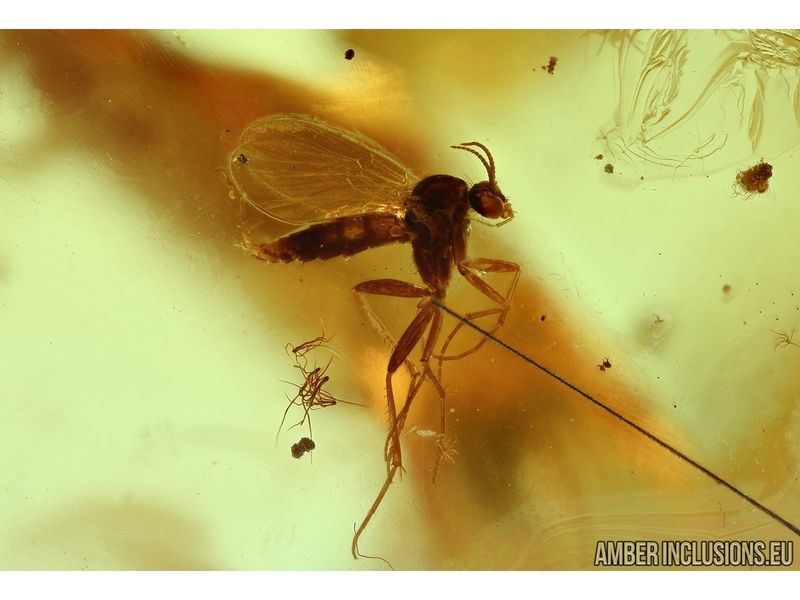 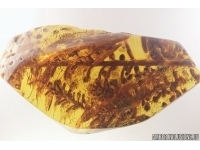 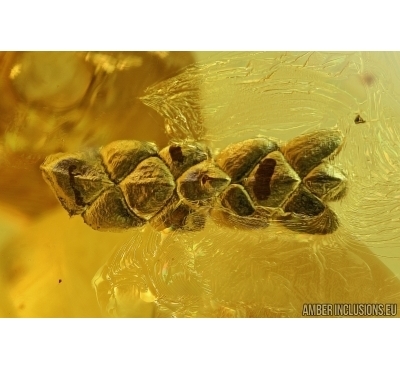 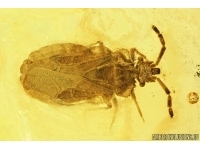 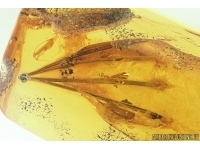 Ukrainian, Rovno amber stone with fossil inclusions - Nice Thuja, Termite and Gnat. 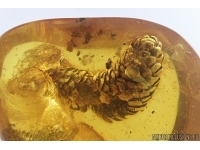 It weighs 21 grams. 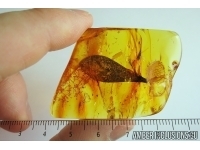 Measurements of stone 53x38x18mm. 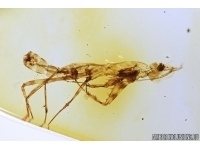 thuja ~9mm, termite ~15mm, gnat ~3mm.